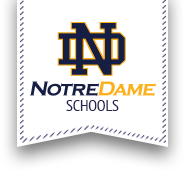 Our Notre Dame Baseball program will be hosting a Pancake Breakfast this Sunday, February 8th, in the school Cafeteria. All proceeds will go in support of the Notre Dame Baseball program. Join us for delicious breakfast and support our young Jugglers at the same time. Look forward to seeing you here.